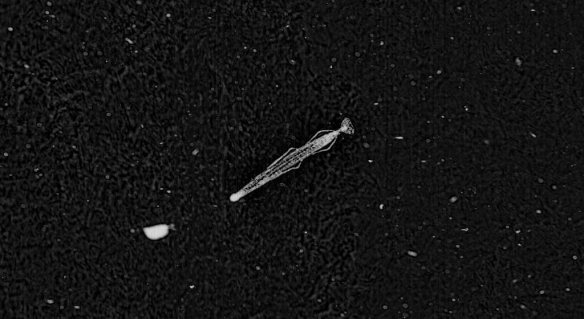 This fantastic image from Plankton Portal shows one of the lethal predators of the plankton world, a chaetognath, more commonly referred to as an arrow worm. These sleek, streamlined creatures pray on other small organisms using hooked grasping spines that flank the mouth. A hood arising from the neck region can be drawn over or away from the hunting spines, much like the action of sheathing and unsheathing a blade. Previous Previous post: New Project – Condor Watch! Next Next post: Millions and millions of sea creatures!